Swim lessons the way kids learn. Swim Lessons to save your child’s life. Drowning is the #1 cause of accidental death ages 1-4 in Florida. 98% of victims drown in a family or neighbor’s pool. 75% of victims are between 12-25 months old. For every child who drowns, four are hospitalized for a near drowning. 77% were out of the parent’ sight for less than 5 minutes. Kinder Swim Inc. offers proven survival skills training to enable your child to swim, float and swim in the event that he/she may fall in the water. Through our hands on, one on one approach, your child is guided through a program that is personalized to his/her age appropriate level. Few programs are willing to teach children under the age of three. Kinder Swim, Inc. offers swim instruction to children 6 months and up. Our training and hands on experience have allowed Kinder Swim to structure a swim program designed to ensure that your child successfully acquires life saving skills. The results will amaze you! 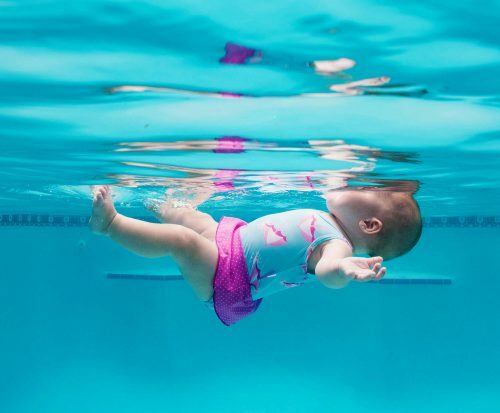 Utilizing private lessons, your child will learn to hold his/her breath, put his/her face in the water, swim for 3-4 seconds, rotate to a floating position to rest and breathe, then rotate again to a swimming position. 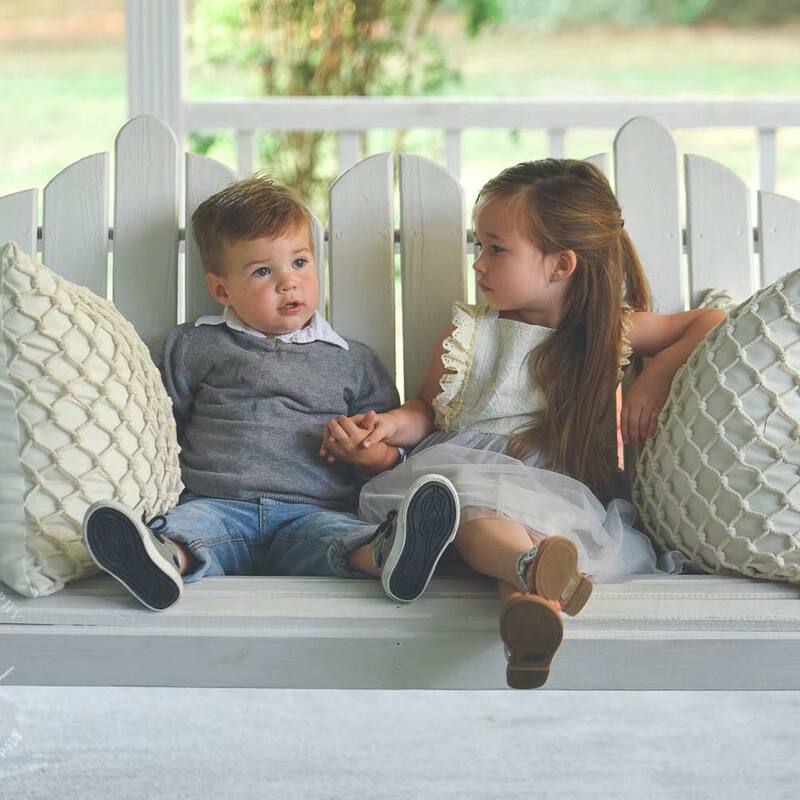 Upon the completion of the course your child will be able to successfully achieve a float from any position and swim to and from parents, pool steps, or wall. 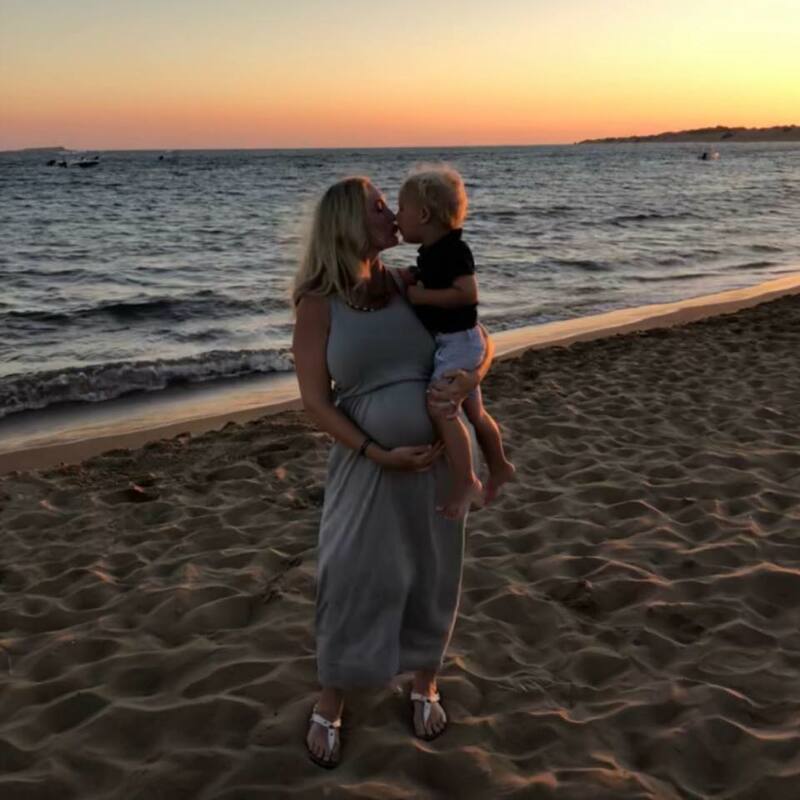 "Thank you, Ms. Katja for the amazing gift you have given Theo- the ability to swim, float, and ultimately safely navigate the water. We are forever grateful to you. Your patience and understanding of children is unprecedented. Danke!" Katja is truly amazing. I have referred her to anyone who will listen to me and those who’ve used her were so happy. I’m bringing my 2 year old son back this spring for a refresher. You have GOT to take swim lessons seriously if you have children and live in Florida! Katja’s the best. "I can’t say enough about Ms. Katja! She was so fantastic, patient, and persistent with both of my kids (4 years and 2 years). They both love to be in the water to show off their swim skills. I highly recommend Kinder Swim. You won’t be disappointed. Thanks for being awesome, Ms. Katja!" Why is this course so Successful ? Our program is based on patience and persistence. We build a child’s skills gradually through our age appropriate lessons so that your child becomes comfortable in the water. At what age do your start teaching a child ? We begin instruction at six months. As soon as your child can crawl, he/she NEEDS TO LEARN TO SWIM. Statistics reveal that the younger the child is, the more chances they have of drowning. What is Survival Swimming ? Kinder Swim, Inc. teaches children 6 months to 6 years survival swimming skills. One such skill is the back float. Infants and toddlers cannot raise their heads to take a breath, so they are taught to roll completely over onto their backs to float, relax and breathe. Babies are quite buoyant and can remain in this position for a very long time, even while fully clothed. Why Kinder Swim, Inc. ? 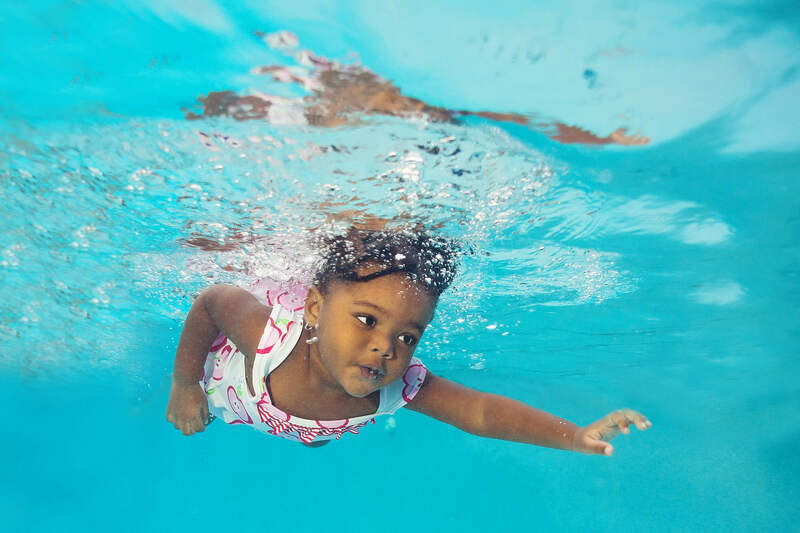 Here are some other reasons why you should consider getting an early start on survival and swimming skills for your child with Kinder Swim, Inc. The lessons offered by Kinder Swim, Inc. will increase your child’s self esteem and empower him with an incredible sense of accomplishment. What Can Infants and Children Learn ? Infants six to twelve months can learn to roll over from a face down position in the water onto their backs to relax and breathe. 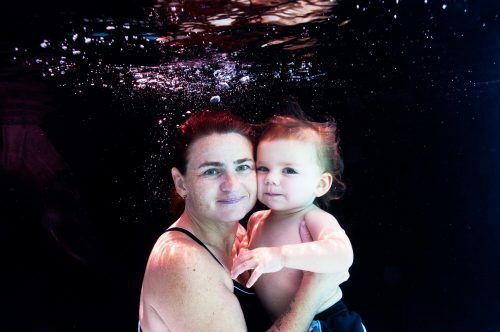 Particularly active infants may also learn to propel a short distance through the water between two parents. Learning these skills takes approximately 12 to 20 lessons. Older infants and young children (12 months – 6 years) are able to learn a more advanced swim float swim sequence. How Are Lessons Conducted ? Be assured, we do not throw children into the water. We use a variety of methods, combining the best ideas from swim schools and infant/toddler programs throughout the world. Toddlers do best with short lessons multiple times per week, rather than one long lesson. Our program is flexible because children learn differently. Lessons are usually one-on-one, four times per week. Our lessons are short and tailored for the learning style of a very young child. Katja Borosch is an instructor of Infant Aquatics Survival techniques and the owner of Kinder Swim, Inc. A company that is dedicated to teaching infants and children water safety techniques, developing self-assurance, confidence and an enjoyment of aquatic activities. 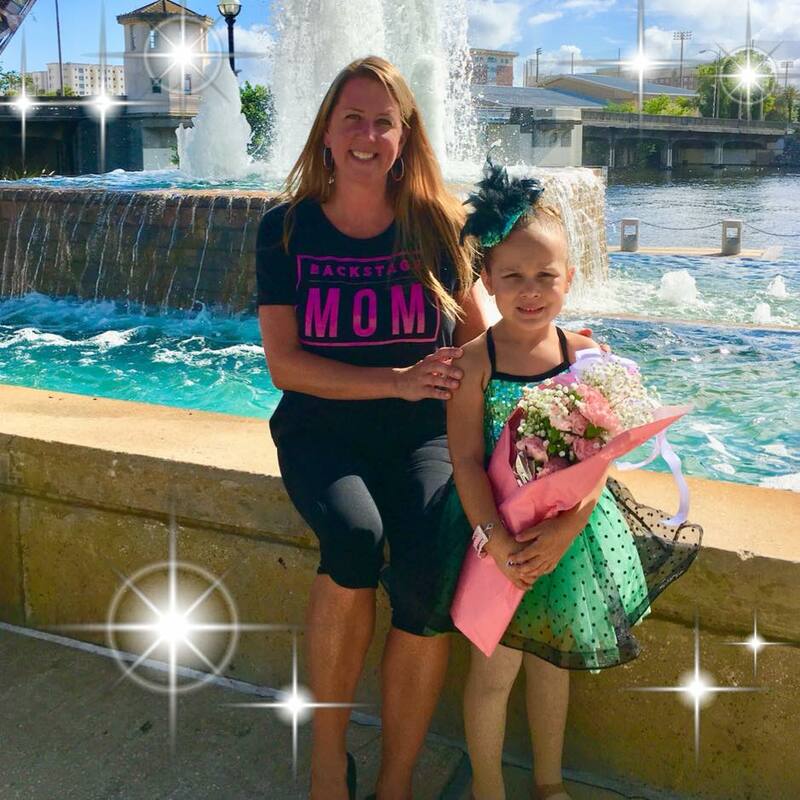 As an instructor she finds it rewarding to observe children’s self esteem grow as they master the aquatics skills she teaches.